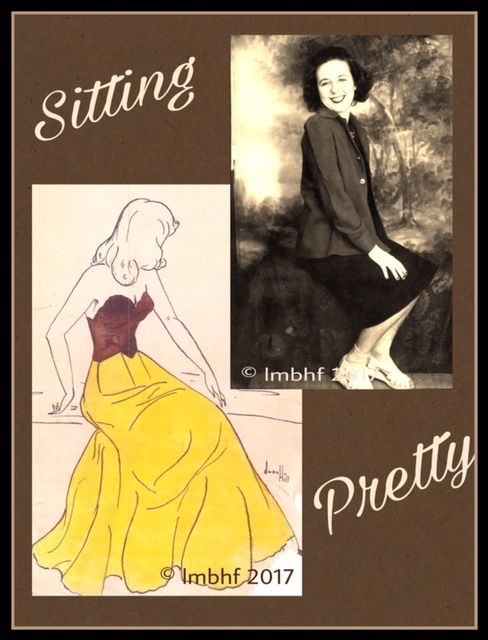 These drawings of pretty ladies were made by my mom when she was just a young woman. I was the last of her five children and only knew her when she was older. The drawings give me insight into who my mom was in her younger years. My oldest sister is nearly 17 years older than me. She said recently that it is interesting how my perspective of who my parents were (only having known them when they were middle aged) differs from her’s (because she also knew them when they were so much younger). I love to look at pictures of my parents when they were young and think about what life must have been like for them and what they must have been like as young people. We have quite a few photos of mom when she was young and obviously feeling very beautiful (she was always beautiful to me). 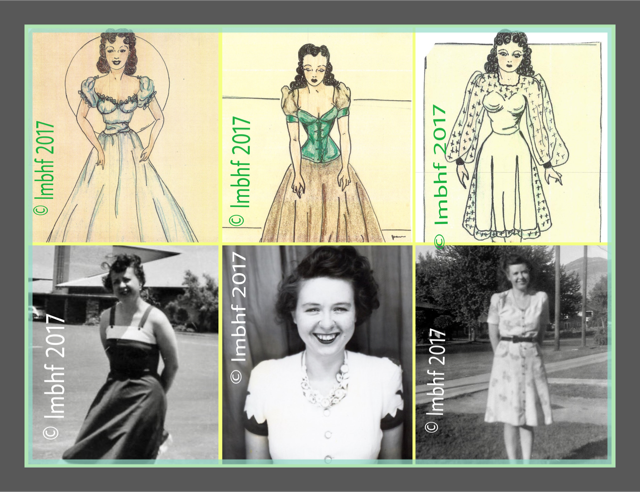 I got the fun idea of pairing some of those pretty pics of my mom with her drawings and this post is to share the results, of which I am pretty proud. Between photos, I thought it would be fun to share information about my mom’s life and who she was (from my perspective at least). My mom was born in 1921, just one year after women were given the right to vote. Jean Melva Thompson was her parents’ only daughter and she had two younger brothers Kenneth and Lloyd. Her mother was of course (in that day and age) a stay at home mom and her dad worked as a city fireman and policeman. 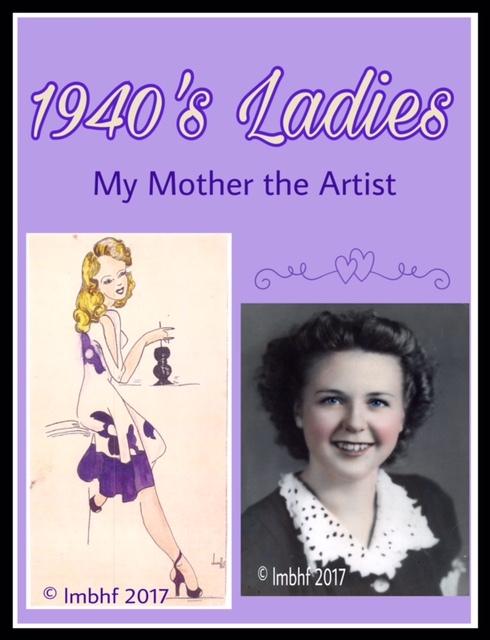 Mom came of age around the time the 1940s began and she fancied the new found freedoms and “equality” women were enjoying. 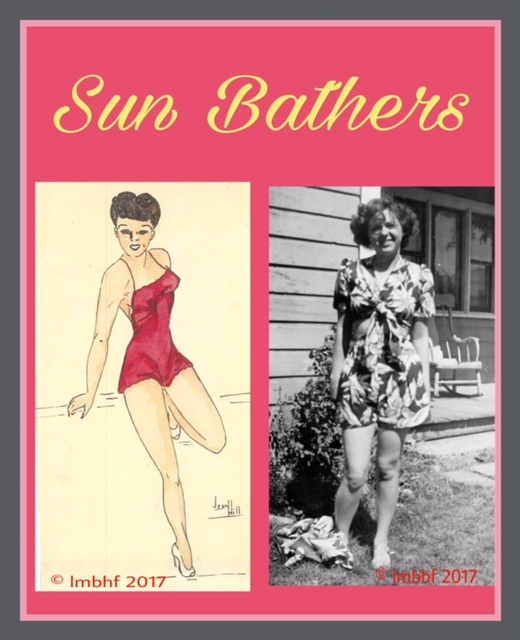 She had a happy life and spent time with her family and girl friends; she met my dad, Robert Thomas Hill, when she was 18 years old (and he was 16 years old) at the Berthana Skating Rink in Ogden, Utah. He was a (wanna be) bad boy and she was a (wanna be) modern, free spirited woman. Beautiful Ladies Coming and Going! 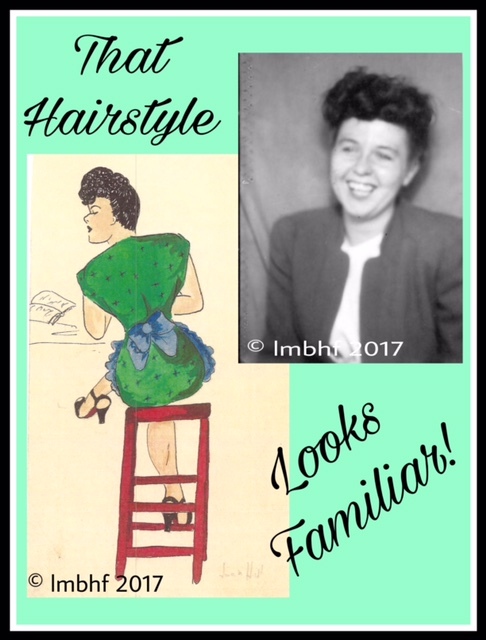 Love the playful side of my mom that this photo and drawings shows. Justt a couple of years into their romance, my dad found himself drafted into World War II. Unable to marry before the age of 21 without a parent’s permission, Dad persuaded his mom to consent so that he could marry my mom before he went off to war. They married and dad soon shipped out for basic training. Mom’s two younger brothers were also drafted into the war and the younger one, Lloyd, ended up as a prisoner of war. Mom lived with her parents during that time but was able to visit dad in Norman, Oklahoma before he left for his station. A few months later, when mom was 22 years old, my oldest sister was born. Dad didn’t get to see my oldest sister until he came home after the war, when she was nine months old. But he did come home safe and sound and both of her brothers did too (although Lloyd was very thin and weak and it took him time to recover). Mom’s second baby, and her only boy, was born three years later. He had a divided spine and an enlarged heart and lived for only two weeks. It took her awhile to come to terms with that very sad event in her life and it was eight more years before my second sister was born and my third sister followed, not quite a year and a half later. Loving and caring for her family was what mom enjoyed most of all and she adored being a mother. A few years later my mom wanted to have one more baby. She told me the story went like this – she tried to talk my dad into it by telling him that he might get another boy this time. Mom said that through their discussions/negotiations about whether to have another baby, that she talked dad into it, while he talked her out of it. So when their youngest daughter at the time was almost five ycars old, I came along, their fifth and final child, a girl. Mom was 40 and 1/2 years old when I was born. She named her four daughters Pegge (not Margaret which would have only been proper a few years earlier), Jeri and Jo(lene) – boy’s names (oh my! ), and Lori (which I assume must have had the same modern, independent and playful connotation to her as the other three names). I can remember staying at home with my mom and then when I was four years old, she went to work. Mostly she went to work because my dad thought they needed the money. But I think there was a little part of her that felt free and independent as a working woman. She formed some lifelong friendships while on the job that I know she treasured. Mom worked as a civil servant on Hill Air Force Base until she retired, but in her heart of hearts she most liked being with her family. Mom loved the stories of movies and TV. 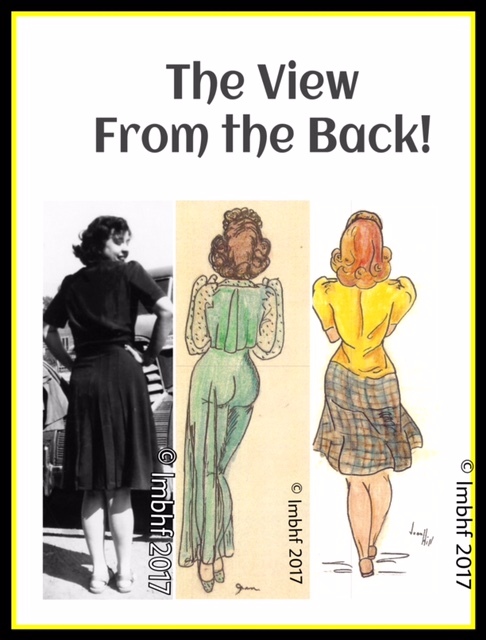 She was enamoured with the actors and actresses of the 40’s and 50’s. 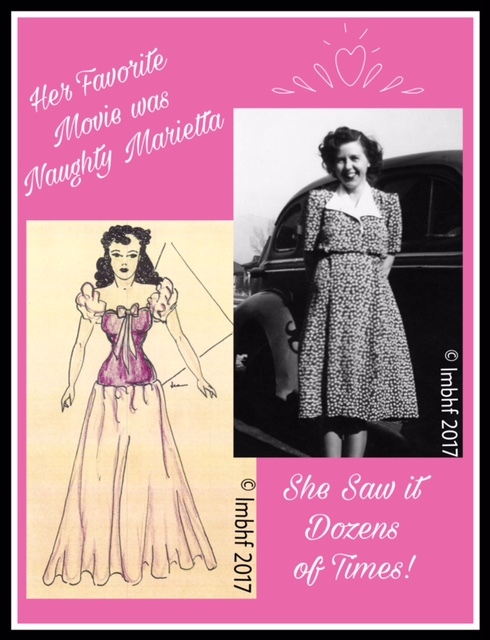 Her favorite early movie was “Naughty Marietta” which she saw dozens of times. In my day she watched “Perry Mason” and “Hawaii Five-O” and she thought Burt Reynolds was a heart throb. 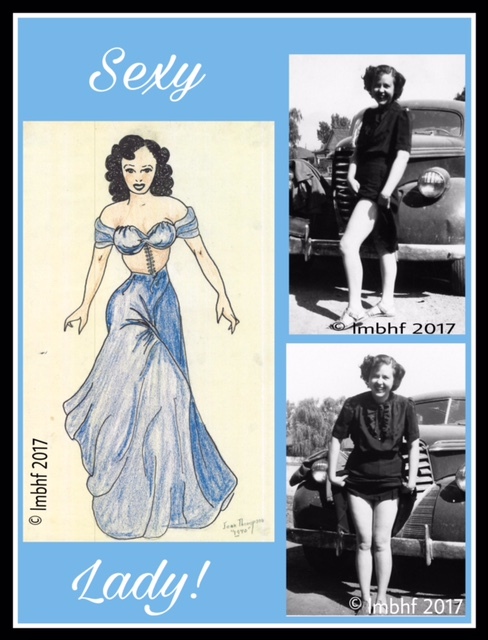 Betty Boop, with her playful, free spirit, was a favorite of her’s. In her later years she loved the comedian Victor Borga, whom she saw perform in person, and always tried to get me to watch her videos of him, feeling frustrated when I didn’t share her enthusiasm. A huge collection of romance novels lined the shelves of her bedroom. She put a rating inside the front cover of each one and often re-read the best ones. She was always willing to lend her best stories to her daughters or granddaughter. Mom loved cinnamon bears, Cheetos, which she called “crunchies” (if you carefully puruse some of her old romance novels that we’ve kept around, you will surely find a “Cheeto fingerprint” here and there). Pineapple ice cream and upside down cake, chocolate covered raisins, chocolate licorice, cantalope with ice cream and bread and milk were some of her favorites. She liked liver and onions (yuck!) but was always willing to cook us hamburger instead (even being careful to use a seperate pan). She was a great cook and loved to make Sunday evening dinners for her family. While she liked green grapes (I remember she’d always snitch one in the store before she bought a bunch, to make sure they had a good flavor) she didn’t like the flavor “grape” in candies or soda, etc. She ABSOLUTELY HATED, ABHORED, and DESPISED bugs and spiders! I clearly remember my mom teaching me all the time (in word and example), about life and values and having good character and being kind to others. She was the kindest, most tolerent, accepting and loving person I ever knew and my views and beliefs about life and love and family were forever shaped and molded by her stellar example. My Dad was an Artist Too! We have just this one drawing that may dad did. I don’t remember him doing any other drawings, although he made beautiful hand crafted canes in his later years. Mom and Dad enjoyed spending time with their family and their girls (and husbands) were their best friends. They lived in three different houses that they had built brand new and the last one was their dream home. In their later years in addition to family activities and grandchildren’s dance recitals and little league games, etc. they enjoyed traveling, attending sporting events and going out to dinner with friends. When we lost mom in 1992, dad was heartbroken (we all were) he never did get completely over it during the following 19 years that he spend without her. He kept her picture on the counter with a red, heart shaped, Valentine lollipop in the corner with the words “Hug Me” printed on it in white, because that is what mom would say to him when she wasn’t feeling well. Gorgeous Ladies! Mom loved to swim when she was younger, though she didn’t do much swimming in my lifetime. I believe my mom’s life was centered around what she loved and valued most – her family, and that she lived it that way because she knew it would bring her the most happiness and fulfillent. But I think a little part of her regretted that she didn’t have the excitement and adventures, the independence and “equality” that she dreamed of in her youth, that I see in her photos and drawings of her youth and that she dreamed of when she watched TV and movies and read her romantic stories. I guess that’s probably a common reflection people have when they look back on their lives. My three sisters and I, along with our husbands, children and grandchildren (including steps and adoptees) total around 70 individuals (two of whom will be born in June 2017). Mom and dad left behind a tremendous legacy, which includes daughters, granddaughters and great-granddaughters that are, to one degree or another, living mom’s dream of being “modern” women with exciting, independent lives – but whom mostly value love and family above all else! We’re all so very blessed to have our mother/grandmother to look to as an amazing example. You might also enjoy reading these related Posts: Display Your Treasured Family Heirlooms, In Honor of Veteran’s Day, and Mother’s Day Tradition. What a touching tribute to your mom. So you paired the drawings with the photos of your mother, they look like postcards! Or like store advertisements. Beautifully done. My mom was a chemist back in the day of stay-at-home housewives. She set a similar example for my sister and my daughters and me. Thank you for sharing. 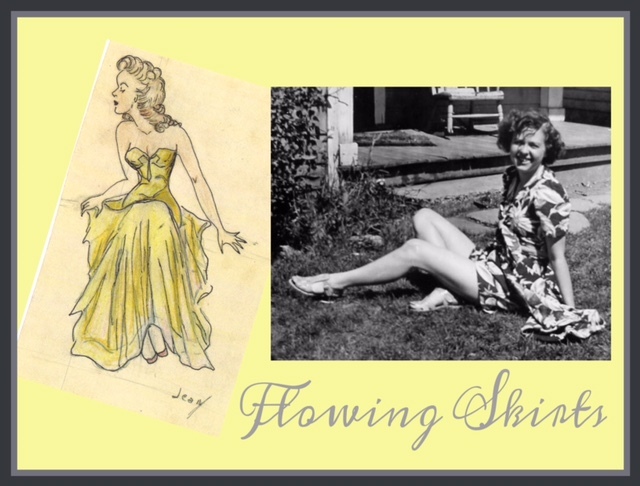 Lori, I absolutely love the way you paired your mother’s drawings with her photos. She was quite the artist. I thoroughly enjoyed reading about her history as well. Thanks for sharing and cohosting on #BloggingGrandmothersLinkParty. Lori, this is an absolutely beautiful to your mother and your father as well. She was a beautiful woman on the outside and it sounds as if she was even more beautiful on the inside. Your family was truly blessed to have her. Thanks for sharing with #blogginggrandmotherslinkparty . I have shared it on social media. I echo the above comments. This is such a beautiful tribute to your mother. Her drawings made me feel like I knew her. Thank you so much for sharing this! What a great artist she was! Sounds like she was a great mom too. Thanks Lori for linking up and co-hosting at the #BloggingGrandmothersLinkParty. I shared this post. Oh I agree with Christie about pairing the drawings with your mother’s photos. 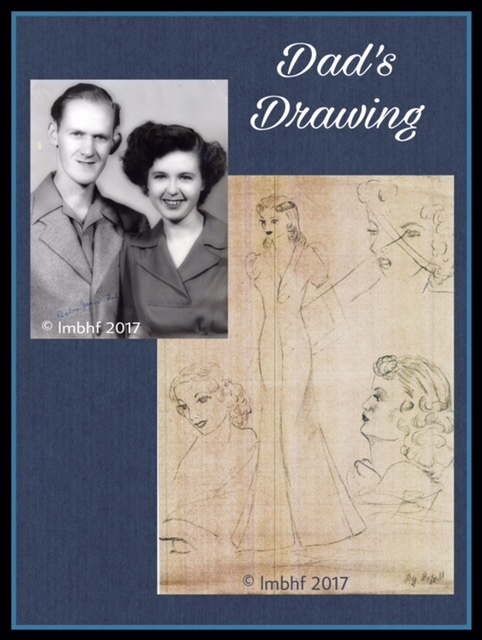 What a talented lady and I love the 40’s fashions. Thanks so much for sharing with us at #blogginggrandmotherslinkparty. I’ve pinned and shared on social media. Catch you at the link up next month! This was a beautiful and touching tribute to your mother. Her drawings were beautiful; she was very talented and I love the way you paired them with her pictures. Your mother sounds like a wonderful person that would have been a blessing to know. Thank you for sharing her with us at the #BloggingGrandmothersLinkParty. Shared!